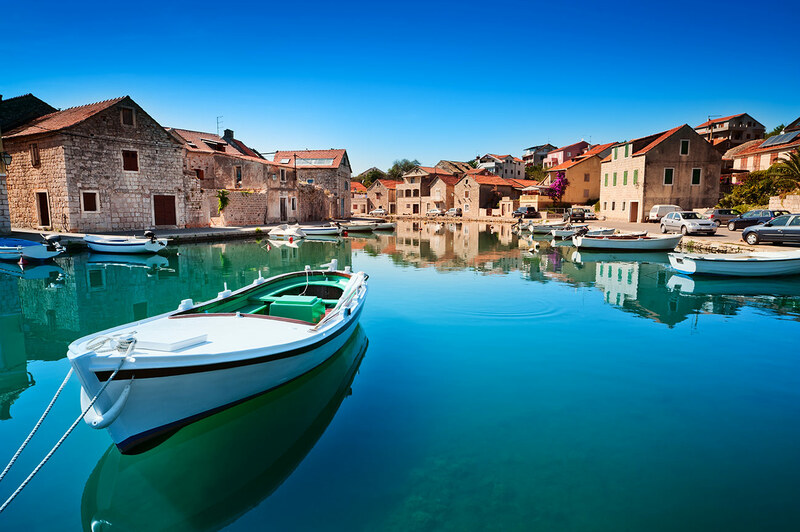 Croatia is one of the most attractive travel destinations in the Balkans. It is a place with an amazing natural beauty, lots of historical and cultural monuments and beautiful beaches. A very popular and beautiful tourist destination in Croatia is the national park Plitvice. 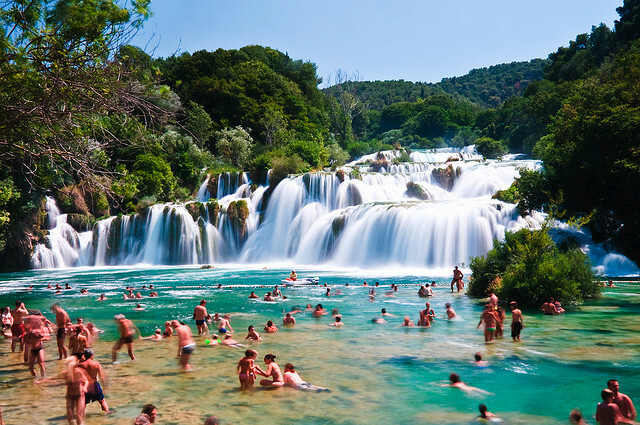 It is Croatia’s oldest and best known national park. The 20 acres of land house 16 enchanting lakes linked to one another by spectacular waterfalls and cascades. The park is located between two mountains, Mala Capela and Pljesivica, which protect the park’s land from the very warm weather of the coast just 50 kilometres away. Thus, the temperature in the park is an average 24 degrees Celsius, with a maximum of 36 degrees, which is considerably cooler than the summer temperatures on the coast. During the winter, however, the temperature drops far enough to cause the lakes to freeze over, and snow is not infrequent. The lakes are divided in two sections, upper and lower lakes. The more impressive are the upper lakes—they are surrounded by dense forest and are linked together by large waterfalls. Visitors are allowed closer looks at the lakes and waterfalls from wooden walkways that have been built to preserve the natural aspect of the park. The lakes are especially known for their richness of color, which depending on the mineral contents of the water, the microorganisms that live there and the direction of the sun’s rays, can vary from opal green to blue or even grey. Another Croatian tourist destination that has been attracting tourist from everywhere is the palace of 3rd century Roman emperor Diocletian. It was built on the bay of Aspalathos, which today is the city of Split. 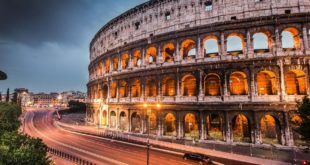 The palace is one of the best preserved examples of Roman architecture in the world. Limestone of the highest quality, imported from the island of Brac, was used for its construction. Egyptian granite columns and sphinxes were also imported and used as decoration. The shape of the palace is rectangular, with gates in every side and large towers in the four corners. There are two main streets separating the palace in four different sections. The southern section was reserved for the use of the emperor, while the northern one was where the servants and guards resided. 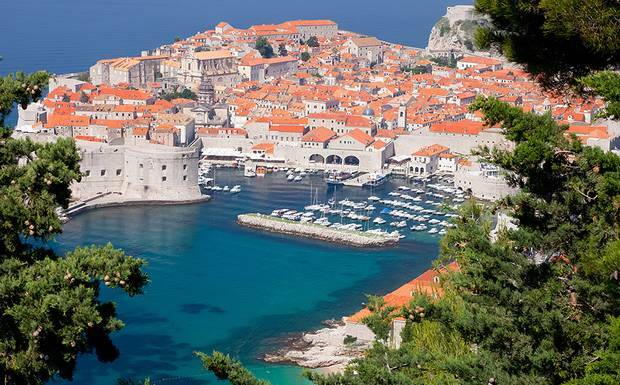 Dubrovnik is a city on the southern Croatian coast of the Adriatic Sea. It is the world’s greatest fortified city. The old city is fully enclosed within massive stone walls which stretch for 1,940 meters. The walls are up to 25 meters high, and in places even 6 metres thick, especially in those places most important to the defence of the city. There are five fortresses in the old city, three of which are part of the surrounding wall. Trogir, yet another of the many Croatian attractive destinations, is a town on a small island which is located between the island of Ciovo and the mainland. Two bridges connect it to these two places. 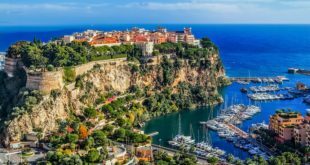 It was first settled by Greeks in 3 B.C., after which it soon fell under the rule of Rome and became a major port town. 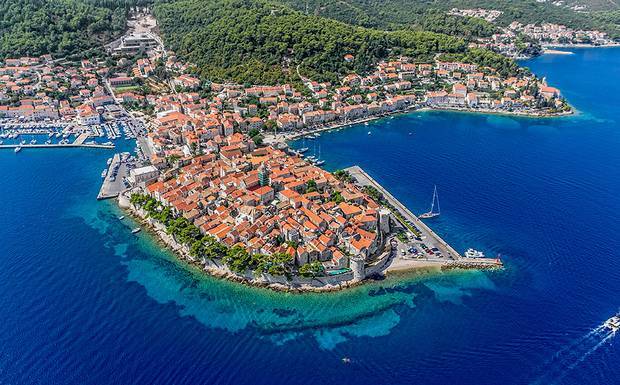 In the 9th century the town came under Croatian rule. Trogir is particularly known for its architecture and buildings, which are excellent examples of the Romanesque, Gothic , Renaissance and Baroque periods. The town’s St. Lawrence Cathedral is a great Romanesque-Gothic edifice, with elaborately detailed sculptures. 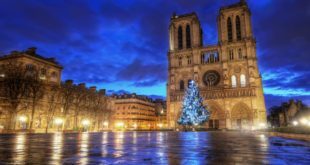 It was built between 1213 and 1250. Today it is a major tourist attraction. 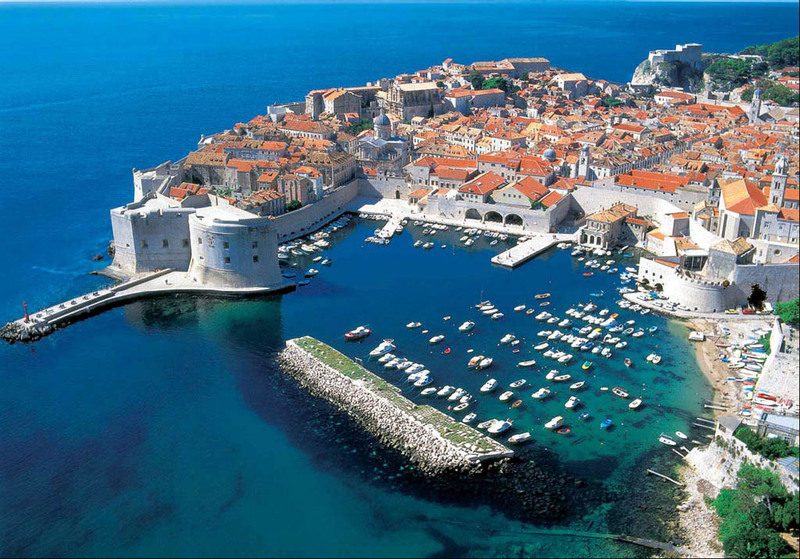 Due to all the popular tourist destinations in Croatia, tourism is the dominating branch in the country’s service sector. After the end of the Croatian Independence War, the tourism industry has grown rapidly, with a fourfold rise in tourist numbers, which reach 10 million. Visitors mostly come from Germany, Slovenia, Austria and the Czech Republic, but there is a large number of domestic tourists as well. 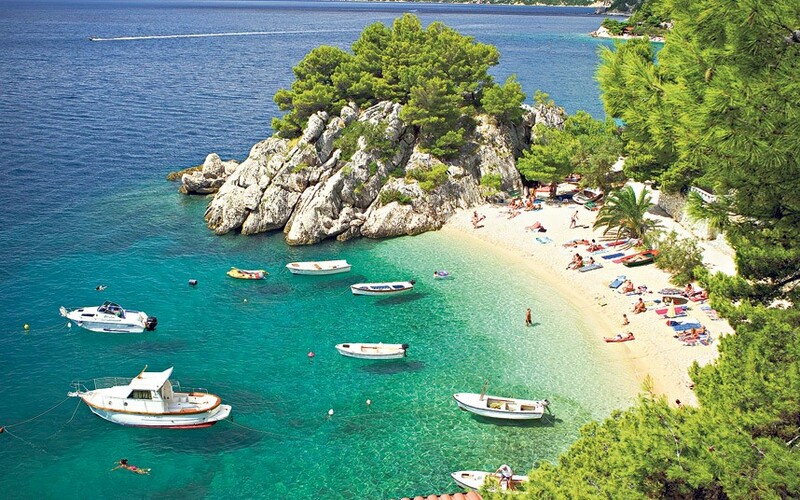 A tourist’s stay in Croatia averages 4.9 days. It is not unexpected then that the tourism industry accounts for up to 20% of the national GDP. In 2011 it yielded a total annual income of 6.61 billion Euros. The effects of this are very positive and important to Croatia—the economy profits greatly and the business volume is increased in terms of retail business, processing industry orders and summer seasonal employment. Since it greatly decreases the country’s external trade imbalance, the tourism industry is considered an export business.